You can relax and enjoy a variety of massage therapies in one of our two serene spa settings. Our fully certified and expert staff are available by appointment through the Front Desk. Ruth has been practicing the healing arts since 1987. She received her initial training in Swedish-Esalen massage from the Sara Stewart School of Massage in Sonoma. Ruth also incorporates Deep Tissue, Reflexology, Reiki, & Thai massage in her sessions. 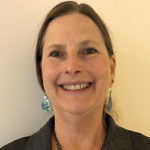 In every massage, Ruth focuses on assisting each individual with an open heart and mind as she uses her intuitive touch of healing to release stress and aid in the balancing of mind and spirit. Her massages are nurturing, relaxing, & healing. 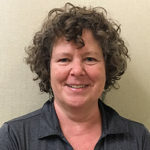 Susan is certified through the Sebastopol Massage Center and has maintained a continuation of education with the San Francisco School of Massage, Body Therapy Association, and classes for intuitive touch. She uses various modalities to encourage whole body healing. Susan focuses on creating a healing space for recharging body and soul. 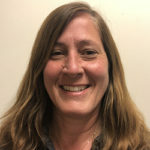 She has found new strength and vitality through yoga and is active in theater with her children and artistic endeavors in the South A arts district in Santa Rosa. 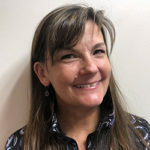 Cassandra began her career in massage & body work in 1993 at the Institute for Psycho-Structural Balancing in Culver City, California, & has continued her studies in San Francisco at the World School of Massage & with Brian Utting from the Pacific Northwest School of Massage. She works individually with clients to create a deeper sense of well-being & balance in their bodies. When she isn’t at work, Cassandra can be found globetrotting & continuing her studies in Ayurveda & Herbal Medicine. Anya received her training at Alive and Well Institute of Conscious Bodywork in San Anselmo. Her bodywork is a practice of joy, & it is her pleasure to design a massage session that encourages the body to rest, recover from exertion, & revive. Anya’s style is therapeutic yet relaxing. She will work only as deeply as you & the tissue permit—and always with your comfort & safety forefront. 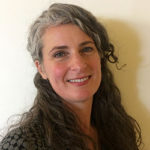 She utilizes techniques from her training in Swedish, Deep Tissue, Reflexology, Pregnancy Massage, Reiki, & Polarity Therapy, along with active spindle-cell releases, helping to release muscle tension. She enjoys spending time with her family and friends & playing backgammon in her spare time. 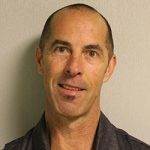 A lifelong fitness fanatic, Randall is an Advanced Practitioner of the Rolf Method of Structural Integration (Rolfing), & a licensed Massage Therapist in the states of California & Hawaii. Randall is highly trained & practiced in sports, deep tissue, Lomi-Lomi, Pohaku (hot stones), lymphatic, & integrative massage. He holds certifications through the National Academy of Sports Medicine & the American Aerobics Association International as a fitness trainer. His combined training gives him a unique understanding of proper movement patterns & body pattern dysfunction & treatment. Nicole will customize your healing session according to your individual needs, drawing from the collage of modalities she’s learned through years of practice, since 1989: from basic body work with Swedish and deep tissue to more specialized work with trigger points, sports therapy, prenatal, geriatric, or infant massage, essential oil & aromatherapies, Reiki & Light (energy work), reflexology, hot stones, hot towels, Thai & Lomi Lomi massage. 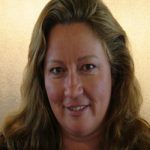 Nicole is intuitive as well as holistic in her approach, has a firm yet gentle touch, & uses a variety of high tech tools to facilitate greater healing in the time allowed. She is passionate about helping people feel better; body, mind, & spirit, through massage, energy, & movement. 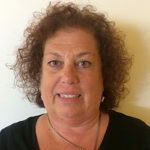 Judy has a wide range of specialties and a natural healing touch. She combines varied modalities to promote relaxation and create a feeling of balance. Her positive energy and awareness of the mind-body connection are captured in her massage.